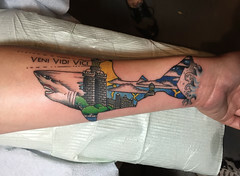 From what I can tell, all of the collectors pictured below have three things in common: they like fish, they feel some connection to the concept of "survival", and they are nerdy enough to get a big tattoo of a living fossil. This beauty adorns Mary McCarthy (no artist info available). Photo from The Love Lab, which seems to be a fish science website. 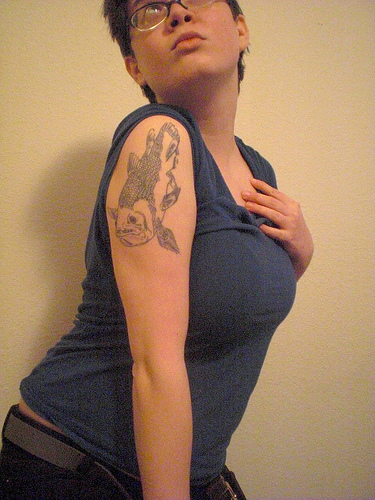 How awesome is it that they have a "tattoos" section? 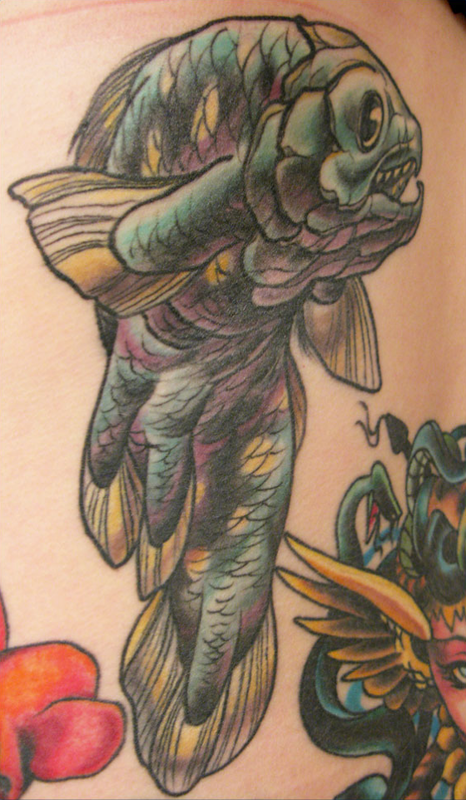 Arne Kuilman's piece (by Jan-Paul of Admiraal Tattoo in Amsterdam) is a nice balance of realistic and stylized. 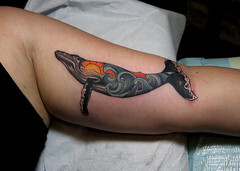 He's got some great shots in various stages of tattooage, as well as some cool source images in his flickr photostream. Lots of info about coelacanths in his captions, too. 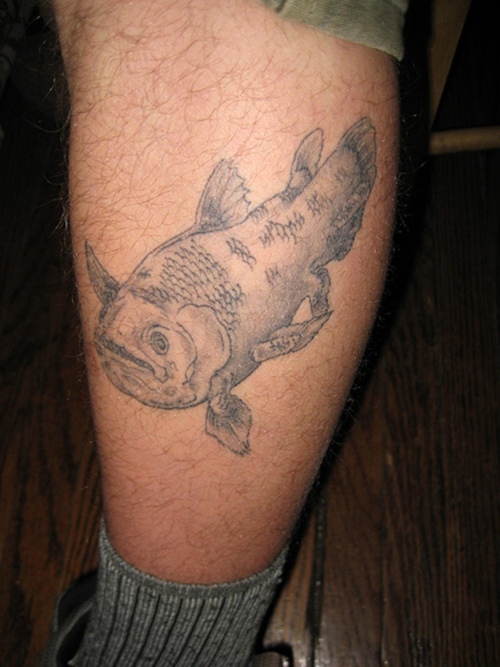 I didn't know, for instance, that the coelacanth's typical "headstand" is about 30 degrees. is, "I just think they're cool, I guess." 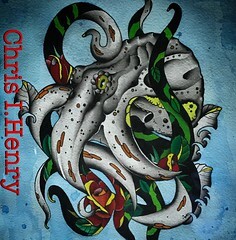 Hans Rueffert (contestant on the first season of The Next Food Network Star!) 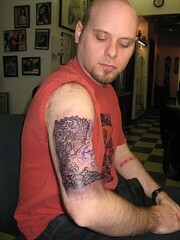 chronicles his tattoo experience on his blog. 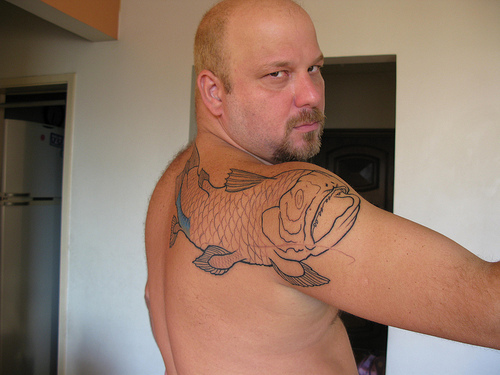 His coelacanth tells the story of his victorious battle with stomach cancer (extra nerd points because the numbers within the scales spell out "cancer" numerically). 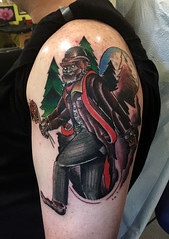 Tattoo by Deano, no shop or location info listed; based on original artwork by Richard Kirk. 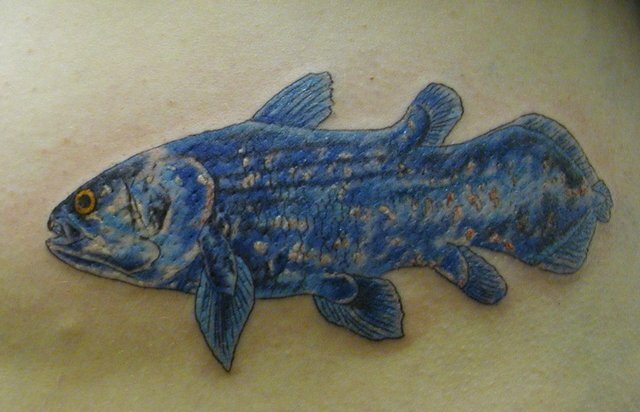 I never pass up an opportunity to plug the geek-licious tattoos on Carl Zimmer's Sciece Tattoo Emporium, and this coelacanth tattoo (by Craig Cooley, currently tattooing at Stingray Body Art in Boston, MA) on Vicki Rosenswieg's abdomen is certainly plug-worthy. 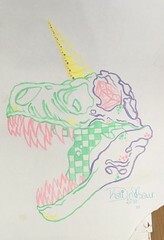 Here's an in-progress shot, as well. 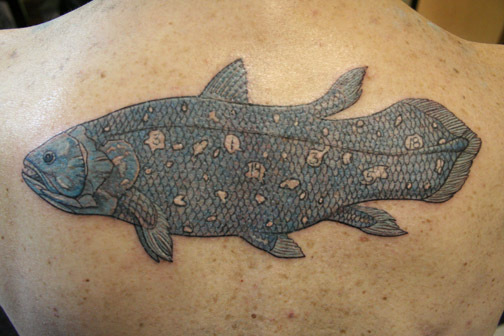 Rusty Piton's "mysterious coelacanth", by Alex Higgens at the Tattoo Factory in Chicago, IL. 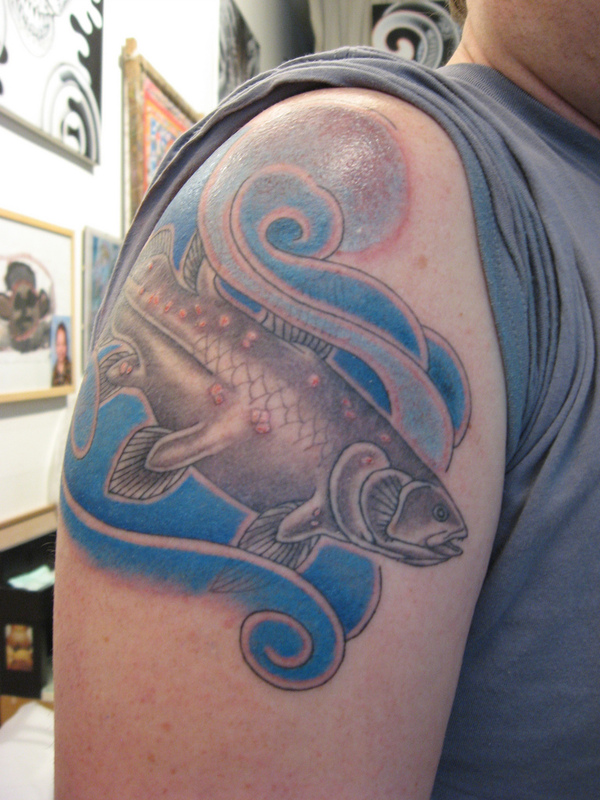 Flickr member pczoide gave me the idea for this post by adding his Japanese koi-inspired coelacanth to my Dinosaur Tattoos pool. 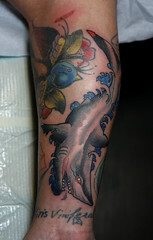 More shots of this tattoo in progress and after later sessions in his "Finding Nemo" set. I can't wait to see this one completed; I think it will be my favorite one! 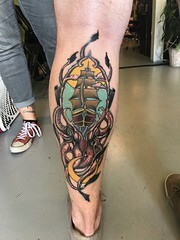 Tattoo by Davi Duarte at Est√∫dio Muito Al√©m de Tatuagem in Rio De Janeiro, Brazil.